An unique and fascinating insight into the development of the Irish people over our 9,500 year history. The award-winning Lullymore Heritage and Discovery Park is set on 60 acres of breath-taking landscape in the heart of the Bog of Allen, Ireland’s largest bog land. 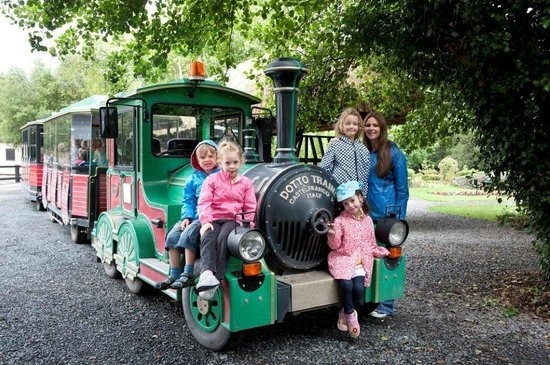 This County Kildare natural attraction is a blend of history, nature and fun, perfect for all age groups. Explore Irish heritage, culture and environments with woodland and peatland trails, gardens and exhibitions. An indoor forest-themed play centre and outdoor play area with crazy golf, a pet farm and train trips makes it the ideal destination for the whole family. Take a 9,000 year journey back through landmark periods of Irish history with exhibitions and multimedia displays, from the arrival of the early Mesolithic settlers and the dawning of Christianity to the eras of rebellion and famine. The new Biodiversity Boardwalk takes visitors through glassy lakes and peat land of birch, heathers and bog cotton. 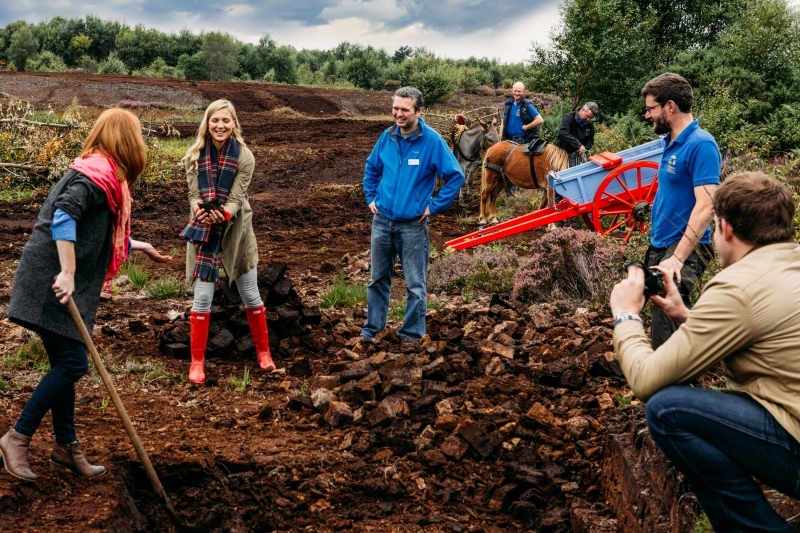 Discover the story of the raised bogs of the Irish midlands, 10,000 years in the making. Guided tours of Lullymore Heritage and Discovery Park are available for visitors who want to delve more deeply into the history behind the environmental site. A great programme of seasonal events takes place at this top Irish attraction, making it one to include on any travel itinerary through the Irish midlands. Visit Lullymore Heritage and Discovery Park to explore the secrets of Irish bogland and have some serious fun in the process.